Romanian insurers reported a total GPW of RON 5.04 billion (about EUR 1.10 billion), up 8.02% y-o-y, in 1H2017, according to data published by ASF, the market maintaining its growth momentum. In the segment of non-life, insurers underwrote gross premiums amounting to RON 3.97 billion, up by 2.27% y-o-y, while the life insurance segment reported a 36.47% growth rate to RON 1.07 billion. 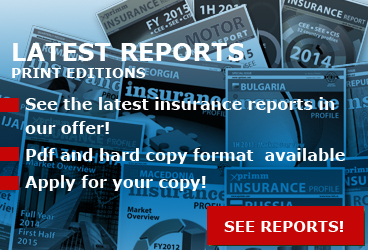 The insurers' figures reveal that the insurance market in Romania features a high level of concentration. 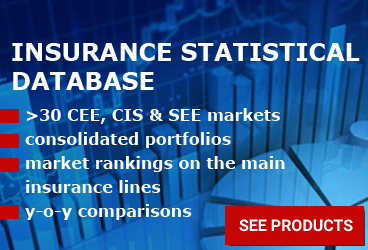 Out of the total gross premiums written during the first half of 2017, 88% was covered by 10 insurance companies, while the Top 3 as GWP (comprising of CITY Insurance, ALLIANZ TIRIAC and EUROINS Romania), accounted for more than one third of the market. According to the ASF report, the net result during the first semester of 2017 for the whole insurance market was positive, reaching RON 260.3 million (about EUR 57 million), up by 11% as compared with last year's similar period. The net profit was RON 292.13 milion (EUR 64 million), while the net loss was RON 31.75 million (EUR 7 million). Per business lines the life insurance segment closed the first six months of the year with an underwriting profit of RON 63.64 million, while the underwritting loss eas RON 5.84 million. 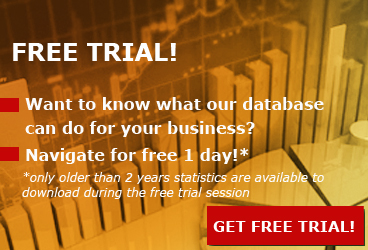 In case of non-life sector, the same indicators were as follows: RON 172.35 million (underwriting profit), RON 25.89 million (underwritting loss). The Romaninan insurance brokers mediated insurance premiums worth of RON 3.17 billion (EUR 695 million) during the first half of the year, 5.4% more y-o-y. Thus, the mediation degree reached 63%. Per insurance classes, this indicator was 85% in case of MTPL class, 73% (MoD) and only 8.7% - life insurance. More about the Romanian insurance market evolution in 1H2017 will be available in the forthcoming issue of XPRIMM Insurance Report 1H2017, to be released on October, 22th, on the occasion of the Baden-Baden Meetings (22-26 October). 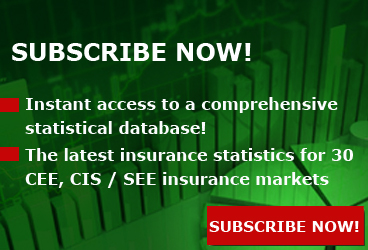 Access www.xprimm.com and download the 1H2017 Romanian insurance market statistics.